Do I Need to Hire a Car Accident Lawyer? If you are in a car accident and are considering not hiring a car accident attorney, you may want to think twice. 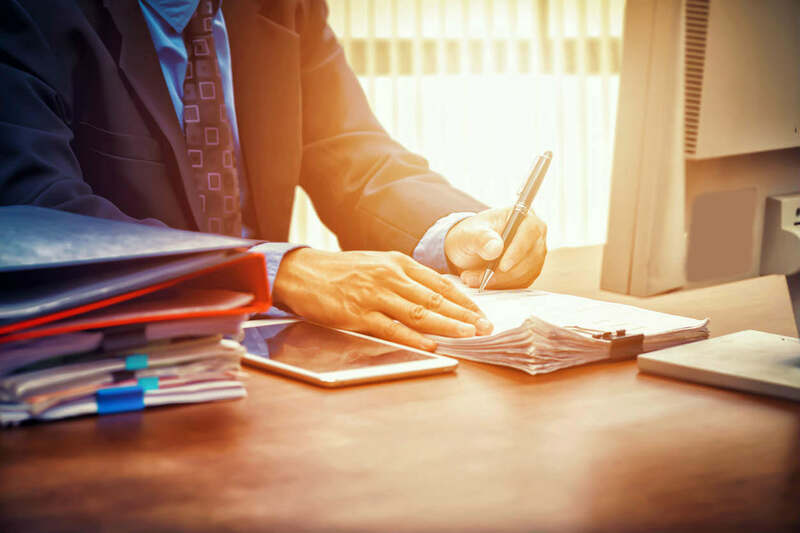 Sure, it might seem like a car accident lawyer is just someone you have to share your compensation with, but the truth is that if you don’t hire an attorney, it could end up costing you a whole lot more. Car accident attorneys generally work on contingency fees, which means that they don’t get paid unless they can get you the money you deserve. In the end, they are not free if you recover compensation for your injuries. If you can collect compensation for your damages and injuries, you will have to pay for your attorney’s services out of your settlement amount. So, is it really necessary to hire a car accident attorney? Many car injury lawsuits never make it to a courtroom. Most can be settled during something called the negotiation phase. This is a time when the car insurance company contracted by the at-fault driver will offer an injured person compensation for their injuries. It might be alluring to think that you can get all that you are entitled to and not to want to share any of that compensation with an attorney, but you could end up losing out if you don’t have someone on your side fighting to get you the most that you deserve. How do you know what is fair? 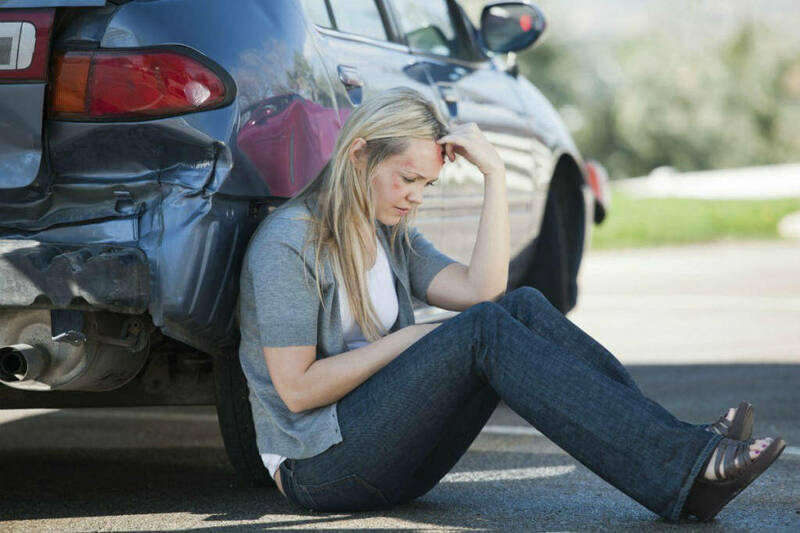 When you are in an accident you are entitled to both economic and non economic damages. If you don’t know what those damages are or how to calculate them, there is no way to know if you are getting all that you deserve. In general, people who hire a lawyer to negotiate a settlement end up getting far more than they would have if they negotiated on their own. A lawyer will know how to calculate what your accident is worth by adding current damages and any future anticipated costs. Once you accept a settlement offer and sign on the dotted line, you absolve the insurance company from any further liability. If something comes up down the road that you didn’t anticipate, you will be out of luck if you take a settlement without thinking ahead. A little-hidden secret is that the first settlement offer is never the most that an insurance company has to offer. It is a starting point. Even knowing that, if you aren’t an expert at negotiation or don't know what your injuries and damages are worth, it will be difficult to ensure that you are getting the most that you are entitled to. Yes, you do have to pay an attorney for their services if you get compensated, but if a car accident can be resolved in the negotiation phase, then the cost will be minimal and you will ensure that you aren’t leaving money on the table. Hiring a St. Louis car accident attorney to represent you might seem like an additional expense you don’t need, but it is one that you should consider in order to get the compensation you are entitled to. Read more: Should I Hire an Attorney for a Car Accident in St Louis? When you are in a car accident in Missouri, there is usually only one driver who is deemed at-fault and liable for paying for any resulting damages and injuries. But since Missouri is a modified at-fault state, there are times when more than just one driver can be found at fault or partially at fault for an accident. Missouri adheres to contributory fault laws. Contributory fault means that there are times when it isn’t just one driver who is responsible and liable for an accident, but that both drivers played a part in it. For instance, if one driver was at a stop sign, they looked both ways and then pulled out in front of someone because they underestimated the time that they had, then they would be at fault for pulling out in front of someone. However, if it is proven that the other car was going significantly over the speed limit, then the other driver might also be found partially negligent. Since the speeding car was also not following the rules of the road, they would be also be determined to be partially responsible. If the driver who pulled out couldn’t gauge how much time they actually had because of the speeding, then it’s likely that both drivers are to blame. Contributory negligence works by ascribing a certain percentage of fault to both drivers. It is easy, however, to see that there is no exact formula for assigning percentages to the drivers, so those percentages might feel arbitrary at best. And since there is no concrete way to say someone was exactly 10% or 20% to blame if you are in an accident where contributory negligence is a factor, it is often best to speak with an experienced attorney. Usually, after an accident, the insurance companies are the ones who handle the logistics of paying for injuries and damages. If you have two companies arguing about the amount of fault that the drivers contributed, they will both want to limit their liability by claiming that the other driver has a greater share of the blame for the accident. If you feel as if you are being ascribed more fault than you should be for your car accident, it is especially important to speak with an attorney. They can use things like police reports, insurance information, and eyewitness accounts to build a strong case for you and get you the compensation you are legally entitled to. Although it might be the duty of your insurance company to pay, the amount they pay might affect your premiums - or in some cases, if the accident was substantial enough and your policy limits are not enough to cover the injuries and damages, it might leave you paying out of pocket. 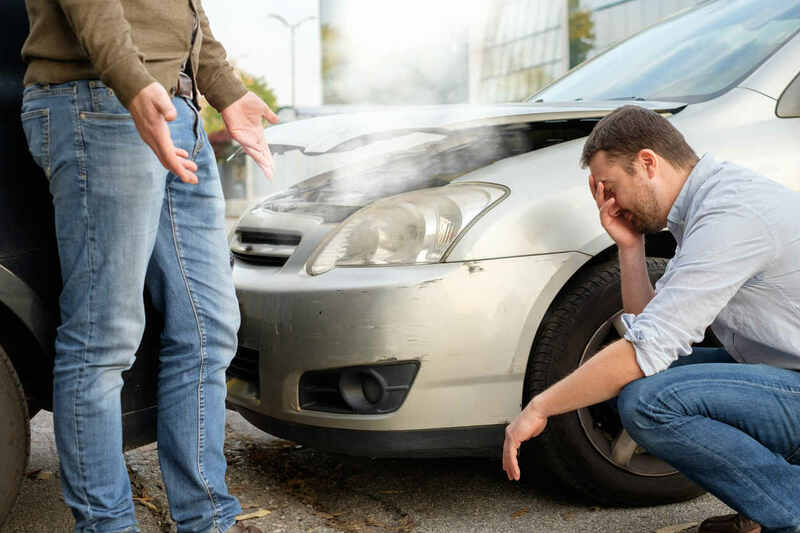 Since comparative fault isn’t always clear-cut, if you feel as if you are taking on more of the blame than you should, it is a good idea to get an experienced car accident attorney involved to protect yourself. If you have been involved in a St. Louis car accident, call The Hoffmann Law Firm, L.L.C. 24/7 at (314) 361-4242 for FREE legal advice. Statistics indicate that as many as 3500 people were killed in automobile accidents in 2015 due to distracted driving. 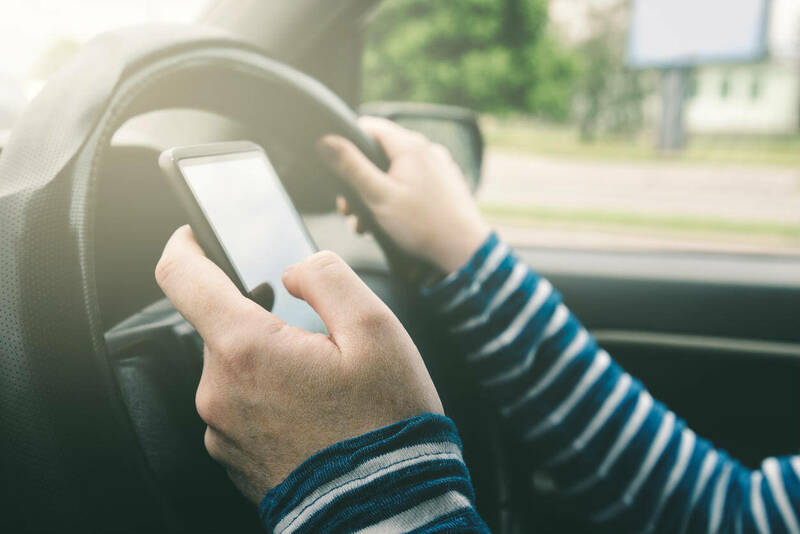 In the state of Missouri, it is illegal to text message anyone or to use a handheld device while you are behind the wheel if you are under 21. This is due to the high fatality rate and the fact that distracted driving is to blame - not just for fatal car accidents but for such a high number of accidents overall. The only time that you are allowed to use handheld device communication while you are in the driver’s seat is if you are pulled over, you are using it for GPS purposes, you are over the age of 21 and are using voice-operated technology, you are using a two-way radio transmitter licensed by the Federal Communications Commission for Amateur Radio Service, or you are a member of law enforcement and acting under the scope and authority of your employment. Can I get pulled over for using my cell phone? If you are under 21 and a police offer sees you using your cell phone while you are driving, then yes, you can be pulled over and given a citation for cell phone use. In addition, if you are in an accident and there is any suspicion that your mobile device contributed to it, the police officer is allowed to check your phone to see if the accident was caused by you texting or being otherwise distracted while driving. In the same respect, if you are weaving through traffic or driving erratically, it is legal for a police officer to pull you over to find out why you are driving that way. First, they have the right to do so because they have to ensure that you aren’t driving while under the influence. Second, since it is illegal to drive and text or use your mobile device in other ways, they have the right to ensure that you aren’t driving distracted and endangering those around you. If you are issued a distracted driving citation, it is like any other moving violation and must be paid. The ticket can usually be paid either through the mail, online, or by showing up in court to plead for leniency to reduce points against your driving record that can increase your car insurance premium rates. The more points you have on your driving record, the higher your auto insurance premiums will be, and there is the potential that if you get too many points you can have your license suspended. If you have been involved in a St. Louis car accident because another driver was distracted, call The Hoffmann Law Firm, L.L.C. 24/7 at (314) 361-4242 for FREE legal advice. Road rage isn’t just a catchphrase - it is real and can be very dangerous when you are out on the road. Over the past several decades the number of road rage incidents has gotten out of control. It isn’t just about someone being angry and cutting you off or following too closely. Road rage can come in many hazardous forms, and there are ways to curb its effects so that it doesn’t affect you on Missouri roadways. The statistics show that as many as 1,500 people in the US are injured - or even worse, killed - in road rage incidents every year. 2% of those are run off of the road, and many drivers are accused of having weapons like firearms or knives. Instead of provoking someone without being aware of what they are capable of, it is always best to assume that the driver next to you might be dangerous and adjust your driving habits accordingly. To minimize your risk of becoming a victim of road rage, take note of the following tips. When driving, avoid those things that can agitate someone or bring out the rage in them. Behaviors that can lead to road rage are following too closely, cutting someone off, speeding ahead of another driver, or just being too aggressive. If someone is driving over the speed limit, it is best to allow them to pass you. The reality is that it is not your job to police the streets. If someone wants to go faster than you, don’t attempt to slow them down. Move over and let them pass. You never know - someone may be in a hurry for an emergency. Horns are meant to give a heads-up, not to make someone upset. A horn is a way to make others aware of you, not to signal that you are mad and to potentially elicit retaliatory anger. 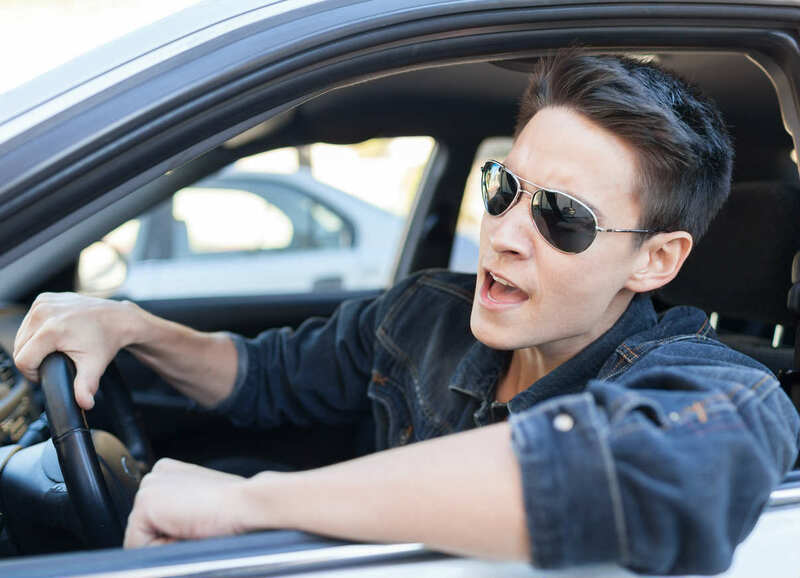 Use your horn sparingly and only as a “heads-up,” not as an “I am mad” signal. If you are wrong, give a friendly wave. There are times when anyone can mess up when driving. If you have done something mistakenly, like cut someone off or not seen them because they were in your blind spot, let them know by waving a friendly “sorry” to head things off. Cars are a great convenience, but they can also be a huge danger if you are dealing with someone who is angry or already has issues. 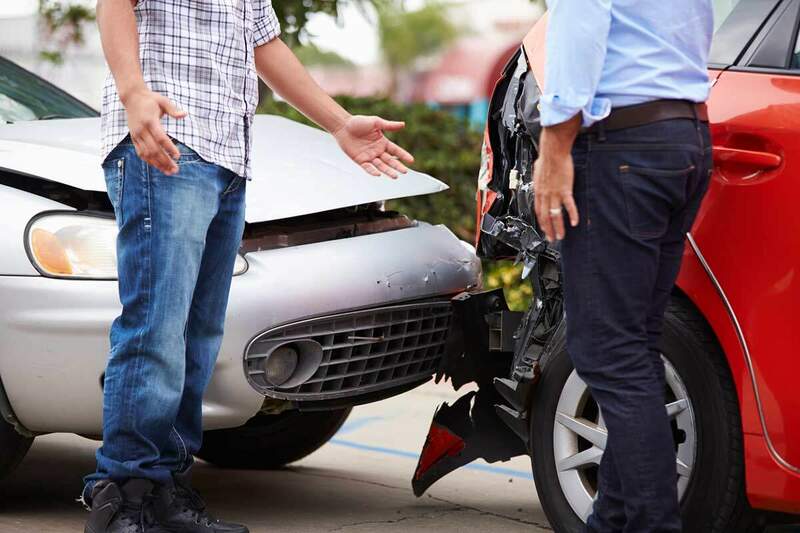 If you are a victim of road rage that led to either an accident or threatening conditions, it is best to consult a St. Louis car accident lawyer to guide you through how to get through the case and absolve yourself of responsibility. Driving is not a right; it is a privilege. As such, those who drive are responsible for using caution and great care when behind the wheel. There are many rules of the road that must be followed by drivers in Missouri, but there are also many behaviors that can increase the likelihood of being in an accident. To limit your risks, try to avoid these less-than-stellar driving practices. Always make sure that if you are entering onto a roadway that you look both ways. It is important to be cautious of all lanes of traffic and all surroundings to avoid being in an accident. Recognize your blind spots instead of relying on your car. New safety features and cameras are a great convenience, but don’t make the mistake of thinking that they can override your vigilance. Be aware of when things are in your blind spot, and don’t rely too heavily on your mirrors or sensors. Don’t follow too close behind or tailgate. Riding closely on the tail of another driver isn’t going to make them go any faster or get you to your destination quicker. It is only going to increase the chances of you being in a car wreck. Keep a safe buffer in between you and the car ahead of you, just in case they stop suddenly. Drive appropriately for the weather conditions. If there is snow on the road or heavy rain, take precautions and adjust your driving behaviors accordingly. Just because there is a posted speed limit doesn’t mean you can’t go under it when conditions call for you to use special care. If you see someone driving erratically, move out of their way. If someone is tailgating you, then move aside and let them pass. It is not your job to monitor their bad behaviors and slamming on your brakes to teach them a lesson, or even slowing down, might be creating the potential for disaster. Maintain your vehicle. Make sure that your car is in working order by always maintaining it according to the manufacturer’s guidelines. Obey the speed limit. In Missouri the posted speed limits are not just an optional guide - they are the law. Make sure to follow posted speeds not just to avoid a ticket but also to reduce the potential for an accident. The best way to avoid an accident is by driving to prevent one. Practice good driving habits when out on the road to limit the risks of being in an accident and also to reduce the potential that you might be at fault. If you are in an accident, make sure to call a St. Louis car accident attorney at The Hoffmann Law Firm, L.L.C. to protect your legal interests and help you get the compensation you are entitled to under Missouri law. Thousands of people lose their lives in hit-and-run accidents every year. There are laws about having to stay at the scene until police arrive if you are in an accident, regardless of whether the incident is with a motor vehicle or a pedestrian. If you fail to wait for the proper authorities to arrive, then you may be charged with leaving the scene and for a hit-and-run. A hit-and-run accident occurs when a person who is involved in a car accident leaves the site without stopping to give the other driver their information or waiting for the police to arrive. The maximum penalty can be as much as $1000 and up to one year in jail. What does a hit-and-run charge do to your driving record? If you are issued a ticket by a state trooper in Missouri for leaving the scene of an automobile accident, then you will generally have twelve points added on your record, and your license could be revoked for a year. In addition, you may not be eligible to receive a hardship license, which grants you limited driving abilities. If the county or municipal officer is the one to issue you a ticket, then you may only have six points added to your record, which means that your hardship license eligibility would not be affected. Can your license be suspended if you get in a hit-and-run ticket without insurance? In Missouri, it isn’t just your license that can be suspended; if you aren’t the owner of the car, the vehicle owner might have their license taken as well. If you are charged with hit-and-run and don't have insurance at the time the accident occurred, the owner of the car can also suffer the consequences. If you choose to leave the scene of the accident without making arrangements for paying for the damage to the other vehicle, and you have no insurance, there may be consequences for anyone driving or owning the car. What are your options if you have been involved in a hit-and-run accident? If you have been involved in an accident with a hit-and-run driver, you are entitled to compensation for your loses. Speak with an experienced St. Louis car accident attorney to learn more about what your legal options are. Call The Hoffmann Law Firm, L.L.C. 24/7 at (314) 361-4242 for a free case evaluation. The biggest problem with auto accident injuries is that what seems like a minor injury can turn into something major quickly. And if you don’t know what to look for, or seek the proper medical treatment up front, you can be left with some major injuries and no recourse to cover the cost for them. Soft tissue injuries are those injuries that you sustain in an accident that don’t always surface right away but that can lead to severe disabilities and medical problems. They can affect things like muscles, tendons, and ligaments, and they may include things like contusions and bruises, strains of muscles or tendons, or sprains that can lead to joint damage. Although they often only cause soreness and discomfort, there are times when soft tissue damage can lead to major issues in the future. If you don’t seek the proper medical attention, there is no way to create a chain of causation that will help you to recover for your injuries. Soft tissue injuries are common in the impact of an auto accident and can range from mild and acute to chronic and serious. 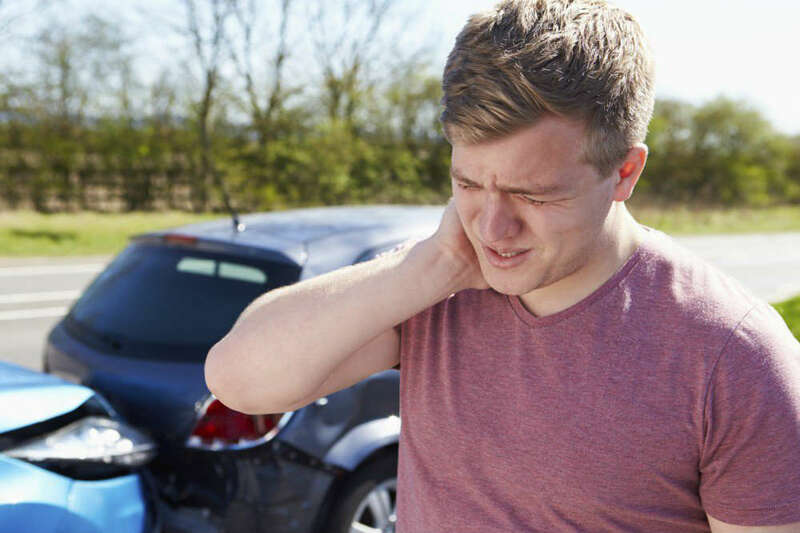 One of the most common types of soft tissue injuries that a car accident victim can sustain is whiplash. Whiplash happens when the neck is jarred enough to cause injury to the tendons and the muscles. Causing edema and inflammation, whiplash can lead to just stiffness, but at other times it can be severe enough to cause vocal cord paralysis, muscle weakness, or chronic tingling that can affect you forever. What might seem like a little soreness can quickly become disabling, which is why getting the right tests and documentation is so imperative to recover for any long-term injuries you sustain. The problem with soft tissue injuries is that most people just assume that they are “normal” aches and pains after an accident and that the injury will just resolve or go away with time. If you don’t seek medical attention immediately after an accident, even for something you think is minor, if it becomes something more you will have a hard time proving causation. If you are hurt in an accident in St. Louis, make sure not to minimize your injuries and to seek medical attention immediately. Even if you think it is minor, don’t underestimate the serious nature of soft tissue injuries. The only way to ensure that you can recover for your damages and injuries is to consult a St. Louis auto accident attorney after you seek the necessary medical care. They can guide you through the process of recovering for your damages and injuries. Many of us have come across a situation where we are walking on the crosswalk and we see a vehicle driving erratically. Most of us would not expect it to come and hit us because we are out of their way. However, too many times pedestrians on the sidewalks are actually hit by vehicles. Obviously, in such accidents, pedestrians suffer severe injuries. The situation becomes worse when the victim is a child, because they are even more fragile. In this post, our St. Louis car accident attorney will talk about child pedestrian injuries. Children and the elderly are particularly vulnerable in crosswalks, because they have slower reaction times and are more fragile. They cannot quickly move out of the way and save themselves if a negligent driver comes their way. Unfortunately, there are too many drivers who are in a hurry and are selfish, and they do not follow traffic rules or focus on the road. This is one of the most common causes of accidents. Distracted drivers are also responsible for a number of pedestrian accidents. When crossing an intersection there are traffic lights to tell pedestrian when to cross the street and how much time they have to cross. However, children and the elderly who follow these traffic lights may not have enough time to cross and at the same moment a distracted driver or someone who is coming rapidly with no intention of stopping may hit them. While the driver may be sorry, the damage is done and the child has been already been severely injured. Recently, in a neighborhood in Oakland, San Francisco Bay Area, three children were struck by a car at a crosswalk. Thankfully, all three of them, including the youngest one who was dragged under the car, survived. The video showed the two older children stopped and looked both ways before crossing, and they probably thought that the driver would stop. They braced for the impact right before the collision. Missouri gives right of way to pedestrians. This means, drivers must yield to a pedestrian in a crosswalk. At an intersection, when the pedestrian has the signal to cross or he/she is already in the crosswalk, the driver must yield to them. Where there is no crosswalk sign, the driver still must yield to the pedestrian if he/she is midway into the crosswalk. Any driver coming up behind the stopped vehicle cannot pass the yielding vehicle. Has your child been injured by a negligent driver? Car accident injuries can have a lasing impact on the physical, mental and emotional well being of a child. If your child has been injured in a car accident in a crosswalk, you should seek legal help from a competent St. Louis accident lawyer.